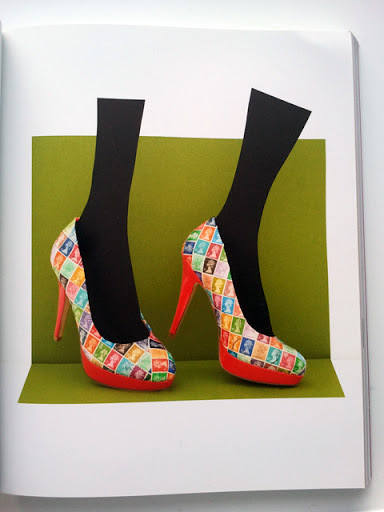 Last week I received a super exciting book through the post, “Material World” by Perri Lewis. I’ll start off by saying I LOVE craft, but rarely have the time to indulge in making anymore. What I will say is even if you aren’t strictly a maker this book is pretty inspiring. But most importantly I think it comes at it with a fresh angle, not twee, not whimsical, not pointlessly upcycled. It doesn’t contain loads of pointless crafty projects either, these are items you would actually want to make, and it got me thinking about items that would be great to make as gifts to save my pennies (being a poor student and all). There are short overviews and “how-tos” for each craft before a more in-depth “project” is given. The instructions are all written in easy to follow plain English, with a little bit of humour thrown in too! I also love the quirky little illustrations by Phil Lewis and Kate Wilson that run through it, and the final photographs of the pieces you can make are simply shot, and hint to the accessibility of each item in the book. My favourite part? Definitely the master classes and insiders tricks that are littered throughout the book. There are tips by everyone from Emma Bridgewater to Rosie Woolfenden and Harriet Vine of Tatty Devine. It feels more like a cookbook for crafts (I know that sounds like a funny thing to say…but it is) accessible to all, there are things from the simplest of projects that could be completed in a few hours to those that may take a few days (I desperately want to try the stamp decoupage shoes…watch this space incase I mysteriously find the time). It is something you can easily dip in and out of, take one “recipe” from, yet that one “recipe” might become a favourite you use time and time again. I think my next thing to do is to loan this to my super crafty 13 year old cousin, and see what she might fancy making from it… I’m sure there will be something to catch her eye!